The paragraph below is the Dalai Lama’s take on the purpose of life which he considers happiness and how to achieve it, this is just the first paragraph, the link will take you to the full reading. I’m always amazed reading or listening to his words he has an amazing amount of wisdom. 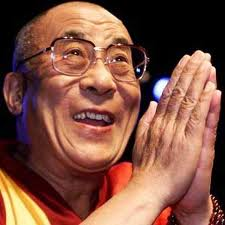 I have a friend who has been blessed enough to have two personal meetings with the Dalai Lama and she tells me that he is every bit as amazing as he appears to be. More about her and their talks to come soon, have a great day. Check out these posts as well! This entry was posted in Dalai Lama, personal happiness and tagged be happy, buddhism, dalai lama, happiness, inner peace, meaning of life, meditation, peace, peaceful. Bookmark the permalink. thanks for sharing your story. i found this article most inspiring; so much that i am going to make transforming my mind to the greater good of others as well as myself a goal this year. is mind training similiar to mediation? i’ll keep up updated on my progress. Great Diane, look forward to hearing from you.